Dr. Jennifer Krogh is an Adjunct Assistant Professor in the Master of Arts in Teaching program at the USC Rossier School of Education. As a faculty member, Dr. Krogh teaches various courses, including Integrating English Language Arts and Social Studies, Teaching Social Studies in Secondary Classrooms, Capstone Portfolio in Learning and Instruction and Human Differences. Dr. Krogh also teaches courses for USC Rossier’s Gifted Education Certification Program. Dr. Jennifer Krogh’s research interests include characteristics, identification, curriculum, pedagogy, and advocacy for advanced learners. An advocate for meeting the specific needs of this student population, Dr. Krogh has presented at many conferences on the topics of differentiation and the characteristics and related social and emotional needs of gifted learners. 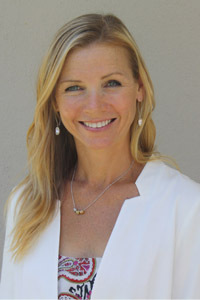 Dr. Krogh is an alumnus of the University of Southern California where she earned a BS in Education, MS in Educational Administration and an EdD in Educational Leadership with a concentration in Teacher Education in Multicultural Societies. Throughout her professional career, she has successfully fulfilled the roles of teacher and teacher educator for students, pre-service teachers, and in-service teachers. She has also worked as a teacher and specialist for the Gifted and Talented Program in the Newport-Mesa Unified School District and has served as an educational consultant for many schools and districts throughout California in both private and public sectors. Prior to teaching at the University of Southern California. Dr. Krogh was an instructor for the Certificate of Gifted Education at the University of California, Irvine and San Diego Extension Programs where she received the Distinguished Instructor Award for her work with UC Irvine’s Extension Program. Dr. Krogh has also served as an Educator Representative for the California Association for the Gifted.